Construction has started. Public Report has been issued and Developer is writing hard contracts. First phase construction is complete. Open Daily from 11am - 6pm. 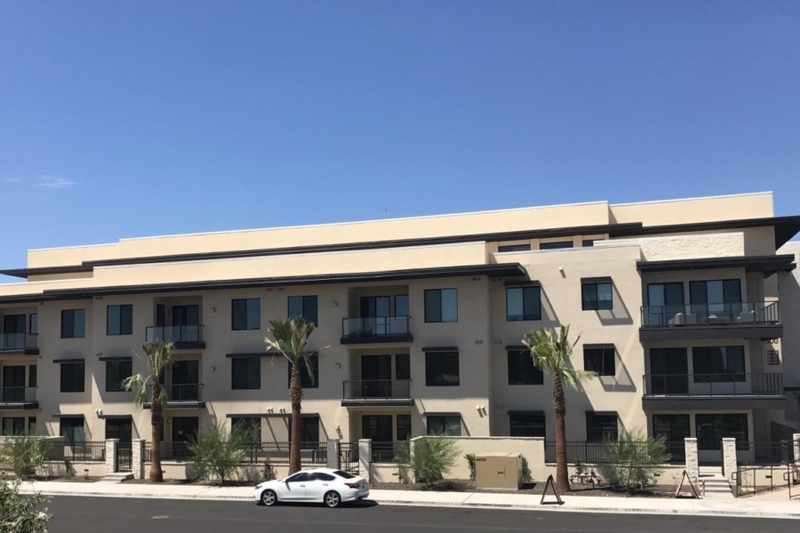 Inspire Downtown Scottsdale is made up of 97 modern residences. Developed by Scottsdale based Developer, Deco Communities. A great location to world-class dining, entertainment and culture in the heart of Downtown Scottsdale. There are six different floor plans. The residences will include split master plans, 10′ ceilings, open floor plans, huge patios, gas appliances and modern finishes. Floor plans range from 800 sq ft on one bedroom/1 bath + office units to over 1,500 sq ft on 2 bedroom/2.5 bath + Office units. Amenities include high speed internet access, WiFi enabled lobby, lounge and fitness center, state of the art fitness club, with yoga and TRX equipment, resort style heated pool and spa with cabanas, a bike room with repair station and secured storage along with lush courtyard landscaping, electric car charging stations, and secured underground parking. HOA dues include water and sewer, trash/recycling, common area maintenance, cleaning and utilities, 24/7 building alarm maintenance. Monthly dues: 1 bedroom $246 and 2 bedroom $373.